Left: A green frog looking very settled in a bromeliad. 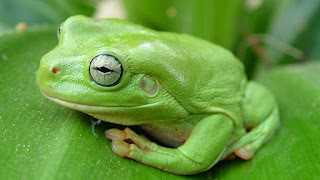 Frogs are good critters as they eat slugs and other plant pests. If you have frogs in your garden, well pat yourself on the back as you've achieved the tick of approval by one of nature's toughest judges - frogs. When frogs take up residence in your garden, it means that you have a clean, unpolluted and stable environment for them to live. Also they are excellent for getting rid of the odd mosquito too. The best way to attract frogs into your garden is to provide them with what they need by creating a moist hiding place (such as piles of rocks and old branches and overturned clay pots). By doing this you are really doing yourself - and your garden a huge favour! Due to their slimy, beautiful skin being very thin they absorb nasty chemicals and they can also die if they eat insects that have been killed by chemicals. When handling frogs, you need to use extreme caution. As they are so fragile they can be easily injured by jumping out of your hands, or by squeezing them too hard. Before you handle or even touch a frog, make sure that you have rinsed your hands thoroughly. Some salts and oils from our hands can hurt frogs. Chemicals in sunscreen, insect repellants, lotions, soaps, dirt, germs can irritate their skin. By trying to eliminate pesticides and herbicides and using organic fertilisers such as your own compost, blood and bone or a reliable commercial product you are heading in the right direction towards creating a good environment for frogs. The Queensland Museum has some good guidelines on attracting (and keeping) frogs in your garden. 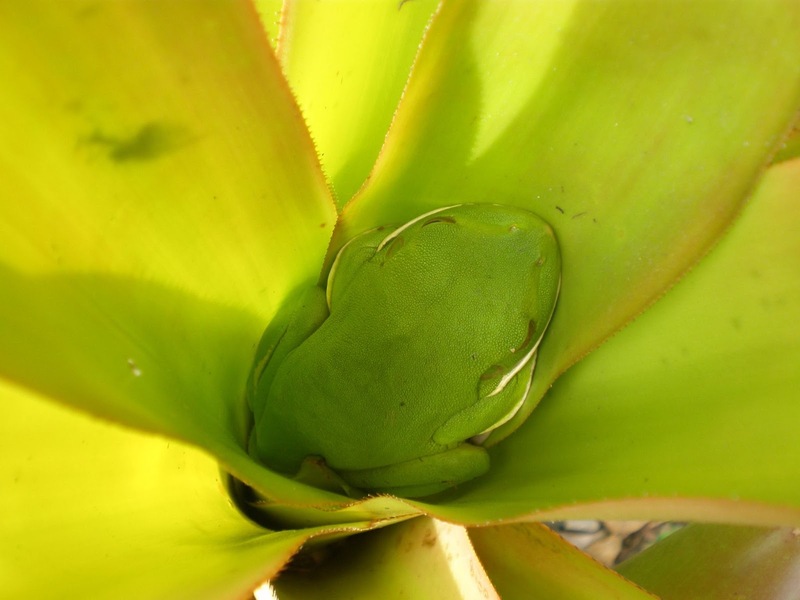 If you see a frog in your garden and are interested in knowing which one it is, visit the Frogs of Australia website to help with identification.